What does a magnetic resonance imaging technologist do? 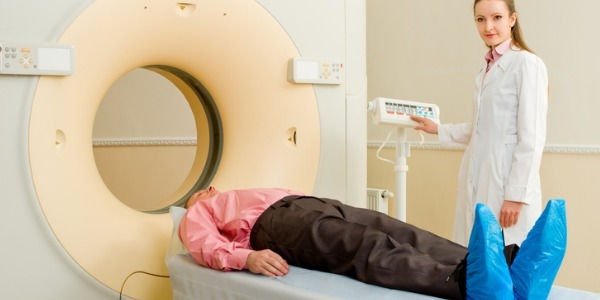 Would you make a good magnetic resonance imaging technologist? Take our career test to find out how you match with this and over 800 other careers. What is the workplace of a Magnetic Resonance Imaging Technologist like? 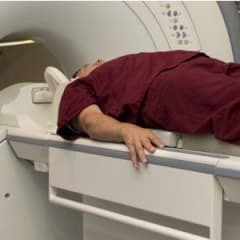 A magnetic resonance imaging technologist, also often referred to as an MRI technologist, is a person who operates a magnetic imaging machine and works in conjunction with a radiologist. It is a misconception that the people taking x-rays or performing CAT scans at the hospital are radiologists. Radiologists are medical doctors who are able to diagnose patients, while the MRI technologist specifically operates the medical imaging machine. An MRI technologist takes detailed pictures of the internal body by using magnetic resonance imaging. Radio waves are used to take these images (not radiation), and can be transferred into three-dimensional images to more accurately diagnose a condition. Magnetic resonance imaging can detect problems in the body relating to the chest, lungs, joints, brain and spinal cord. The procedure typically takes twenty to ninety minutes to complete, and is painless. Some patients experience a bit of claustrophobia, and the technologist will talk to the person throughout the entire process. If the claustrophobia is severe, the patient can be sedated. After the MRI technologist has concluded the scan, a radiologist will review the report. The radiologist will then send the report to the patient's physician, who will speak with the patient about the results of the test. Are you suited to be a magnetic resonance imaging technologist? Magnetic resonance imaging technologists have distinct personalities. They tend to be investigative individuals, which means they’re intellectual, introspective, and inquisitive. They are curious, methodical, rational, analytical, and logical. Some of them are also conventional, meaning they’re conscientious and conservative. Does this sound like you? Take our free career test to find out if becoming a magnetic resonance imaging technologist is right for you. Magnetic resonance imaging technologists can work in a variety of places, including hospitals, universities, private medical practices and diagnostic imaging centres. Most MRI technicians do not have their own offices, unless they are employed as a professor at a community college, instructing MRI technology classes.